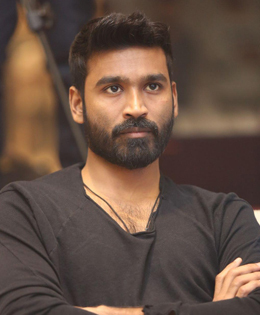 A Criminal Action Against Dhanush! The court on April 21 had dismissed the petition filed by Kathiresan and Meenakshi on the ground they had not made out a prima facie case for trial and their petition is devoid of merits. Mr. Kathiresan claimed that the birth certificate and school TC were proved to be fake after his advocate verified the documents at the Government Women and Children's hospital in Egmore and with the Chennai Corporation. “We could not find any such document in the hospital. Similarly, the officials in the Chennai Corporation asked us to verify it through the corporation website and there too, it was not found,” said Mr. Titus advocate of Mr. Kathiresan. Birth certificate of a male baby born on July 30, 1983, issued by the Chennai Corporation on June 31, 1993, mentioned the parents’ name as Krishnamoorthy and Vijayalakshmi. “The column for registration number in the birth certificate was left blank, which is unusual,” he contended. Mr. Titus claimed that there were contradictions in the gazette publications produced by the actor for his name change. While the December 2003 gazette publication claimed that the name of R.K. Vengadesha Prabhu (as per the school certificate of Dhanush), son of R. Kasthoori Raja, was changed to K. Dhanush. However, only a subsequent gazette publication of February 2015 said that the name of R. Krishnamoorthy was changed to R. Kasthooriraja.